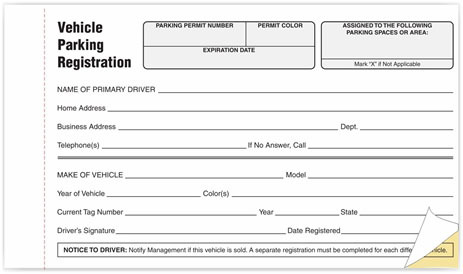 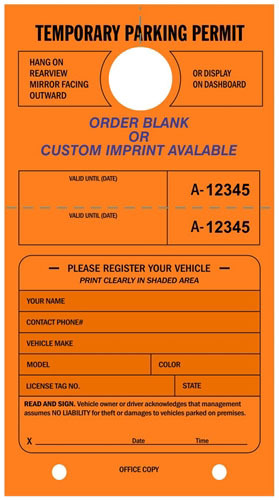 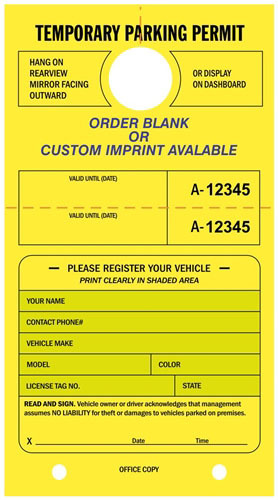 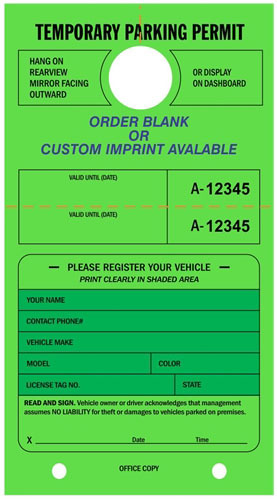 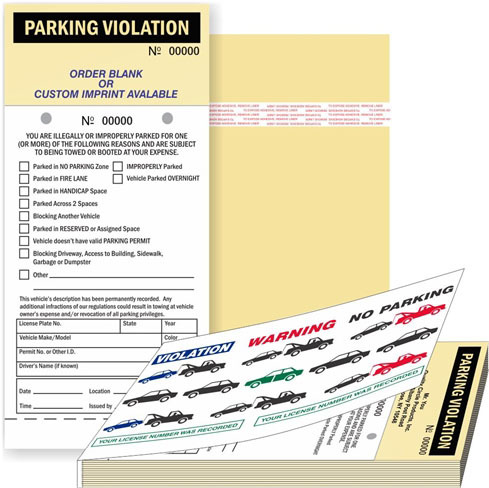 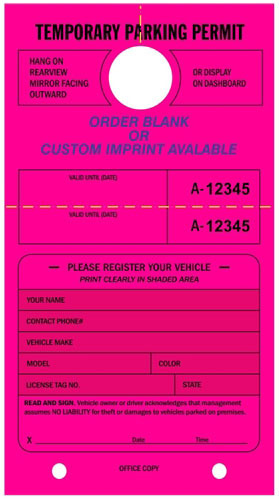 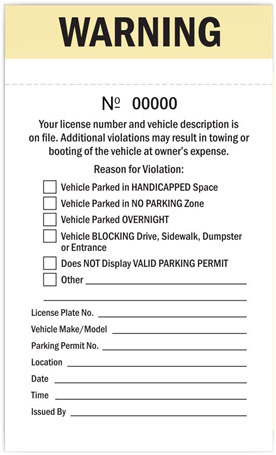 LARGE 7 3/4" X 4 1/4" PARKING HANG TAGS IN FLUORESCENT COLORS! 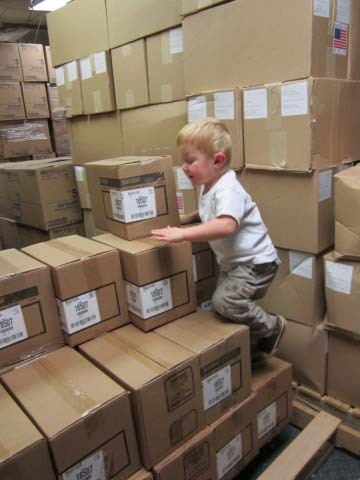 $27.50/pack, Ground Freight Free to 48 states! 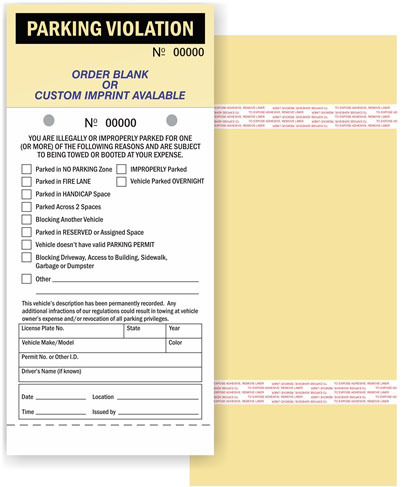 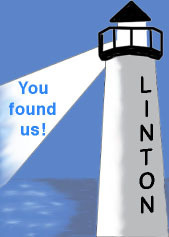 $35.50/pack, Ground Freight Free to 48 states!